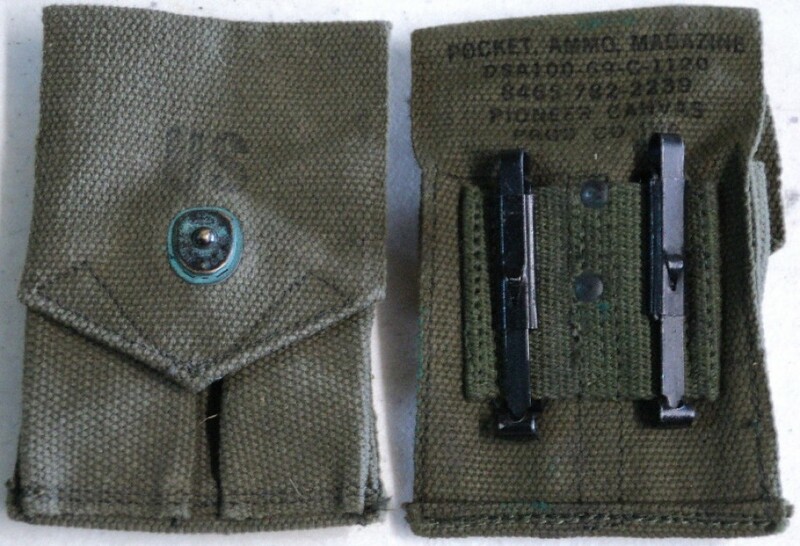 M-56 Pocket, Ammo Magazine, Pistol, .45 ACP. These are the standard M-56 Pistol Ammo Pouches. Each pouch is OD green canvas with a single lift the dot. They are designed to hold two magazines for the 1911A1 Pistol (one on each side) and have two slide fasteners on the back. EXC condition with only minimal storage wear. Currently all pouches are post war dated, but aside from the date code on the back, they are identical to 60's manufacture.